When it comes to burning fat, not all exercises and workouts are created equal. Weightlifting, especially compound exercises, and HIIT are two expert-approved ways to burn fat and build muscle. You may have also heard that fasted cardio (nope, it’s not a cult-favorite workout class) is another way to burn fat. To find out if this holds true, POPSUGAR spoke to Perri Halperin, MS, RD, a clinical dietitian at Mount Sinai Hospital. “Fasted cardio is exercise that increases your heart rate done in a fasted state, or in other words, done when your body is not fed and no longer processing food,” Perri told POPSUGAR. “A true fasted state starts at about eight to 12 hours after your last meal,” she explained. For example, working out in the morning before eating breakfast qualifies as fasted cardio. Working out on an empty stomach may not be ideal for all, but according to Perri, the “benefits of fasted cardio include increased breakdown of fat cells for energy and use of energy from fat cells instead of carbohydrates from a meal or from glycogen (the body’s most usable storage form of carbohydrates).” When your body is in a fasted state, your blood insulin levels will drop and your body will begin to use fat as a source of energy instead of carbohydrates, she explained. How Often Should You Do Fasted Cardio? 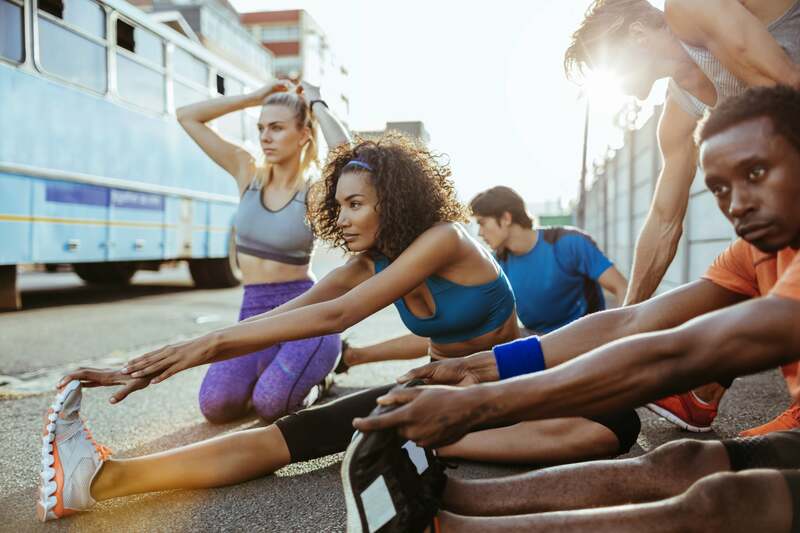 “Exercising or doing cardio in a fasted state can cause your blood sugar to drop, which can cause lightheadedness, lethargy, or fainting,” she added. If you feel any of these symptoms, consider skipping fasted cardio. Although fasted cardio can burn fat, there’s a caveat: not only will your body use energy from fat, but it can also use energy from muscle. Because of this, some people may experience muscle loss, especially the elderly, Perri explained. If you have diabetes or other metabolic conditions, Perri said to discuss fasted cardio with your physician before implementing it into your workout routine.